Note: Through the Ever Night is the second book in the Under the Never Sky series, and the following summary may contain spoilers. To read my review of the first book, Under the Never Sky, click here. 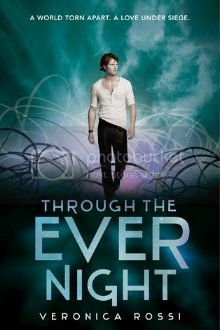 Through the Ever Night is proof that you shouldn't necessarily give up on a series based on the first book. Even though I had some issues with Under the Never Sky, those were resolved in this book. 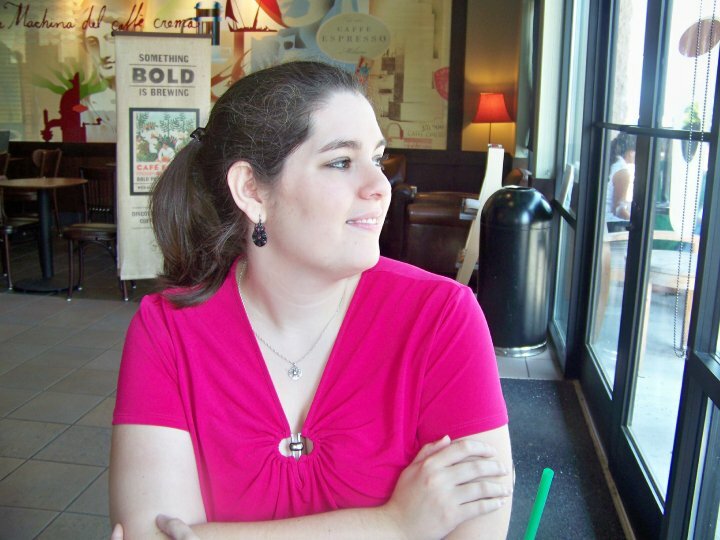 Rather than feeling confused about the world or disconnected from the characters, I was quickly drawn into the story and the worries and joys of the characters. Unlike many sequels, Through the Ever Night picks up several months after the main events of Under the Never Sky. Aria has been on what might be an impossible mission, and Perry has been working to earn the trust and respect of the Tides. Finally they are reunited, but unlike the first book, when they were simply Aria and Perry, now neither of them can escape who - and what - they are. Aria tries to join in the life of the Tides, but as a Dweller, she's met with mostly suspicion. Even though she wants to stay with Perry, she can't help but wonder if they will truly be able to be a couple that the Tides can accept, especially now, when times are more dangerous than ever. The Aether storms are constantly growing worse, and the Tides are struggling more than they have before. Though Perry has to be Blood Lord, Aria still has her own mission, and as the days pass, she realizes that the only way she might be able to complete it is to leave the Tides - and Perry - behind. Adventure, longing, expectation - these are only a few of the words that can be used to describe Through the Ever Night. From the very beginning, things are intense, and throughout the book even moments that could be sweet or relaxed still have an underlying sense of urgency. Survival is on everyone's mind - not just survival of self, but also survival of friends, family, friendship, and love. Aria and Perry have to work for this, and so do the others, especially Roar. Roar plays a large part in this book (but not as a second love interest for Aria, thank goodness), and I enjoyed getting to know him. He's an all-around good guy, though not without his own suffering, and in some ways I was more touched by his story than even Aria and Perry's. And one other character who came back in this book proved to be a pleasant surprise. After the disconnect I felt in the first book, it was nice to really get a chance to fall in love with the characters, to feel all of their emotions and truly experience their journey with them. In Through the Ever Night, the stakes are higher, and life is even more complicated than it was in Under the Never Sky. Because of this, I especially liked reading from both Aria and Perry's points of view. Even though Aria and Perry had a journey in Under the Never Sky, in this sequel we see even more of the world and even have some of the history clarified. In addition, this book never lacks action, and it makes for a compelling read. However, the ending of this book did leave me anxiously awaiting the final book in the trilogy - I need to know how things work out for all of the characters! Once again Veronica Rossi has crafted an inventive story, one that in my opinion far surpasses the first book. With only light touches of science fiction and dystopian elements, as well as memorable characters, this is a story that almost everyone can enjoy. I can't wait until next year to be able to read Into the Still Blue! I really enjoyed under the never sky; through the ever night was good, but not as good as UtNS. I must point out that through the ever night did not start a couple of months after under the never sky.. actually the reuniting of perry and Aria was on the last page of UtNS, but in very vague paragraph. anyways, I really enjoyed that more characters were involved in this book! I also rated it the same as you. I loved this story and only wish there was more romance. There was a tragedy that happened in the last part of the book that broke my heart and I hope that it turns out to be a ruse. I love all the characters in this book and highly recommend it.